Click on a subject link to browse. Chinatown (San Francisco, Calif.)--Pictorial works. San Francisco (Calif.). Fire Dept. 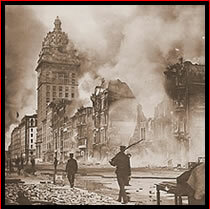 San Francisco Earthquake, Calif., 1906--Personal narratives.